During our travels, I have met Momentum Protocol and I want to share their good news with you guys! This company will decentralise the whole concept of customer loyalty and rewards schemes through blockchain. And we can all benefit from this!! There are so many loyalty and reward programs out there! And we all know how it all ends! When you get reward points, you can lose track or forget all about them. Or maybe you remember to try and use them, but you do not have enough points to make a purchase! So you end up losing interest in all loyalty and reward schemes. This is a common problem with most people. And therefore, if we look closely at the whole Loyalty & Rewards Industry, this market has a big problem. Loyalty points are losing their value. The Loyalty and Rewards Industry offers around $500Bn worth of loyalty points yearly but about half of these never get used. But things are changing with Momentum Protocol! The company already has a successful track record in supplying Loyalty & Reward Platform solutions through its MobileBridge App software, this is the software that’s behind a brands loyalty and rewards app. As already discussed, consumers don’t see value in marketing campaigns and loyalty programs anymore. This loyalty and rewards software, in existence today, already enables major companies to reward their customers for driving revenue and brand awareness. It does this by identifying the right moment and the right location to engage with each consumer individually. 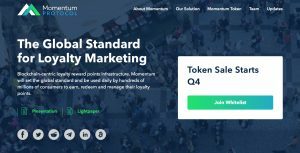 Now, Momentum Protocol are launching the Momentum Token, creating the world’s first blockchain and cryptocurrency-based marketing platform. This will enable brands to use the Momentum Token or their own branded currency to reward consumers for their loyalty. The Momentum Token in itself will be a cryptocurrency and it will store value that can be exchanged to other cryptocurrencies. Shoppers will be able to collect these crypto based rewards and decide how, when and where they use them. The Momentum Token gives the customer the possibility to exchange company branded tokens into Momentum Tokens. Which they can keep in their wallet and exchange for other branded reward tokens or cryptocurrencies. In other words, you can take all your loyalty points and reward tokens from different stores and have the ability to transfer, swap or gift them. In this way, you or someone else can take benefit of these tokens that would otherwise go to waste! Momentum Protocol is providing so much more freedom and value to the consumer! By using the Momentum Token, brands can directly reward their consumers, not only for their purchases and loyalty but also for sharing their data and any other activity that supports the brand. As you know our family is a huge fan of the blockchain revolution. We support it because it aligns to our vision of a decentralised world. A world where people are free to make their own choices. They have control over their lives, their finances, their children’s education, and all personal decisions. And yes, why not also their well-earned loyalty points!! 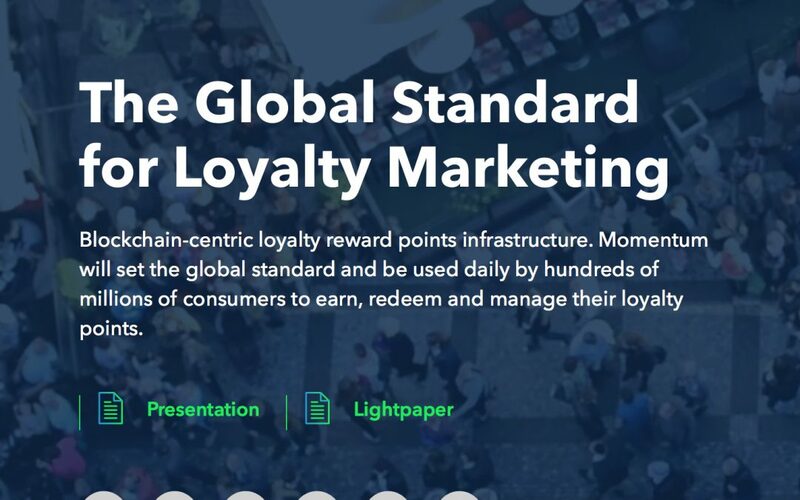 Momentum Protocol are leading the Loyalty & Rewards Industry by example. With their innovative and active implementation onto blockchain technology, they are supporting the change to a decentralised world. I share Momentum’s vision that this will fundamentally change an industry into a more decentralised one where people will benefit more. I became an ambassador of Momentum Protocol because I strongly believe that people need to be able to see and control their loyalty and reward points freely. They were loyal to a brand so they deserve to receive and use their points in a transparent way. Well done to Momentum Protocol for supporting the blockchain revolution!